Many Township Early Childhood teachers are uneducated themselves. They are hungry for opportunities to increase their skills and provide a better learning experience for the children in their care. A generous donor sponsored Love to Langa’s first Reporting Workshop for teachers on January 30, 2014 and it was a tremendous success. The 20 women who attended raved about the experience and are clamoring for more. With a waiting list for future workshops, we need funding to make it happen. 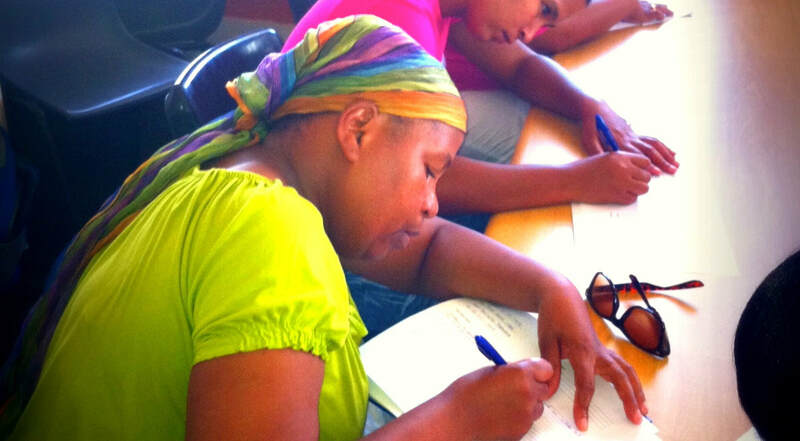 From the donors of our first workshop, “Our visit to two Love to Langa sites was eye opening. We were impressed with the important work being done with the children. So much more is needed and can be done. By providing teachers with the skills necessary to improve their methods will multiply what Love to Langa can accomplish. Our hope is for a bright future for this part of the world.” Training teachers is the very best thing we can do to help children succeed! $10,000 in funding will allow us to have five more workshops! Teachers will receive training in the following areas: * Emotional Development * Fine/Gross Motor Skills * Visual/Auditory Perception * Numeracy * Language * Specialist assistance definition and contacts * Reporting to Parents. A Speech Pathologist and Child Psychologist will also be on hand to give an overview and advice. Additional areas of training will be offered as time goes on. Long-term effects of this program impact the teachers, their students and the community as a whole. The teachers who are able to participate in this training will learn valuable skills that will increase their knowledge base, give them a sense of self-worth and allow them to pass on the information to others. The children will benefit from their needs being addressed. The community will benefit from an increased quality of early education, paving the way for a better future for all.